May issue out on Friday! Our pretty in pink May issue is out on Friday and is not one to be missed! We have lots of gorgeous and inspiring new projects that will be sure to satisfy all of your crafty cravings! 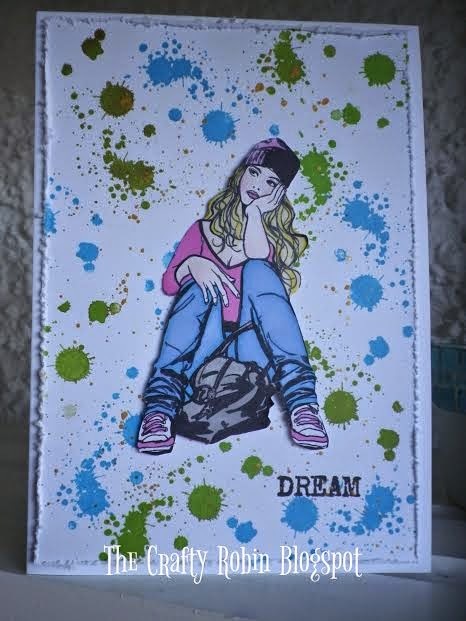 And Rainy Day by R. Maria Sabina where she uses glue and water to transform a plain scene to bring you a stunning stormy day with die cut imagery. So with a quick round up of the projects in this month's issue and a little sneak peek at the details we know you'll be running to the shops this Friday to grab your copy! You should be able to find a copy in all good craft stores across the UK or if you want yours instantly then you can download a copy from Pocketmags! If you want to make sure you never miss a copy then you can also call our friendly Customer Service team on 01684 588599 and subscribe! Submissions wanted for Ready, Set, Stamp! We are looking for submissions for our Ready, Set, Stamp feature on the following theme for our August issue of Craft Stamper. If you've always wanted to see YOUR card in print, now is your chance!!! 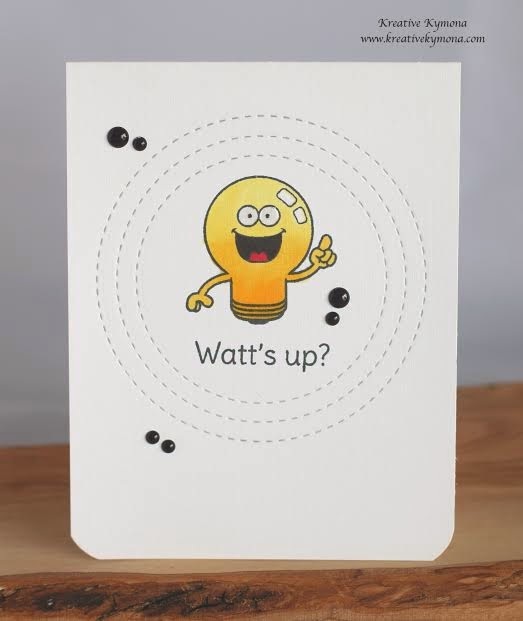 · Please follow both the theme AND the colour scheme when creating your cards. You can add black, white and metallics to any of the schemes. 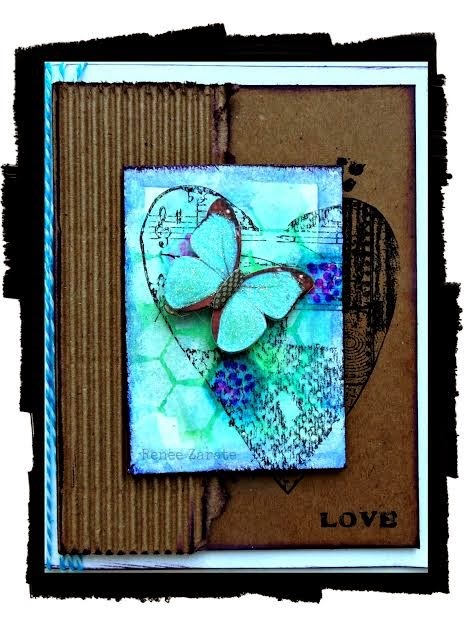 Craft Stamper Blog Challenge : DT CALL! 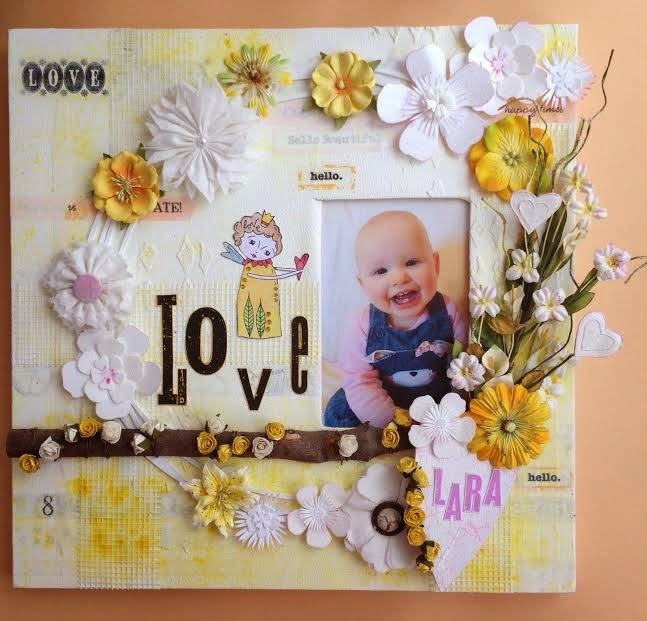 We have had a couple of spots open up on our blog challenge DT, so we are looking for some talented stampers to join us! 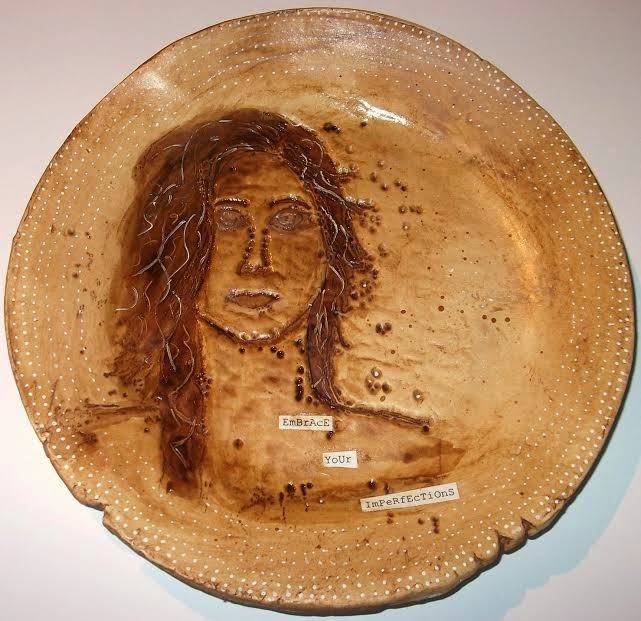 -Commit to making two STAMPED pieces of artwork to a specified theme each month. The DT term is six months, starting with the May 2015 challenge. 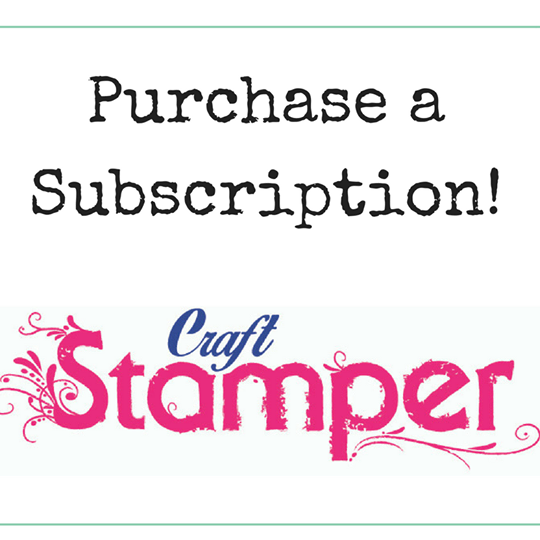 -Subscribe to/be able to purchase/ at least have SEEN Craft Stamper so you know what our magazine is all about! Successful applicants will be notified via Email on Sunday 12th April, and be expected to jump right in and start creating for the May challenge. What a fabulous response to our March 'Take A Stamp' challenge! Congratulations Karen! So beautiful, those colours are simply stunning! We loved it! 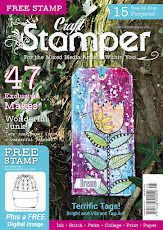 Karen will win a Guest Designer slot, a Winners Profile and of course her gorgeous project will be published in Craft Stamper Magazine. Congratulations Jane! I'm very jealous, that prize is amazing! Winners, you need to need to get in touch with me in order to claim your prize! A link to my email address can be found by clicking my name in the 'posted by' line at the bottom of this blog post. Please check back next Friday for the launch of our April Challenge, we can't wait to see what you create, the DT are very excited about the theme! This feels weird…. 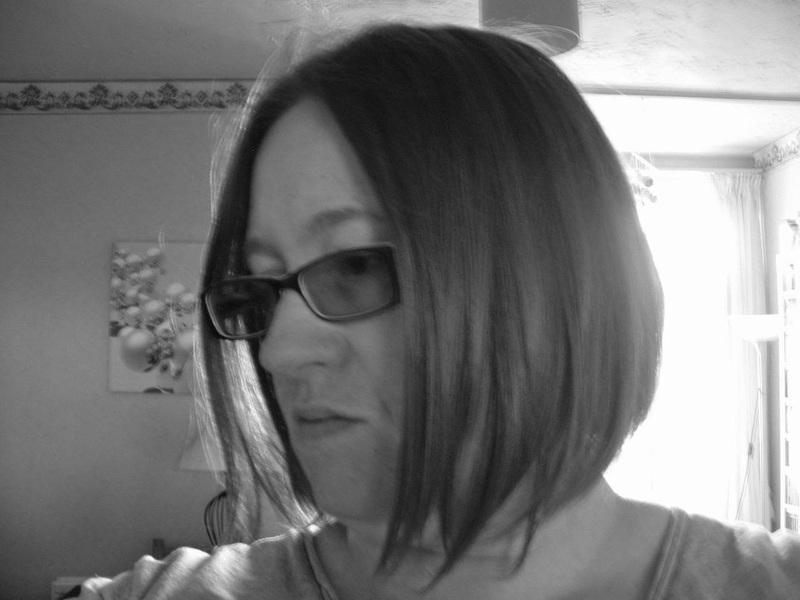 A post about little old me on the blog, rather than me writing a post about someone else! Anyway…hello out there! 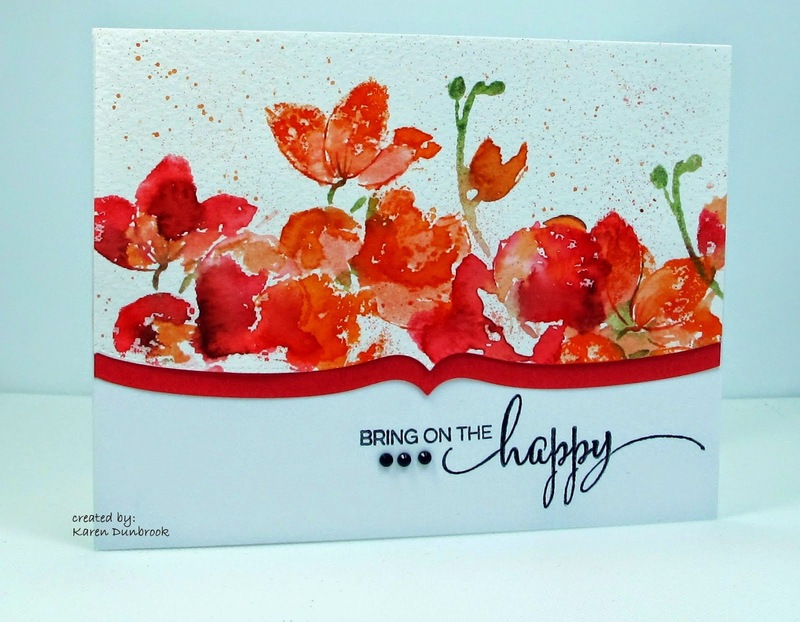 I’m Trish Latimer, and I’m a stamp-a-holic… (and a paint-a-holic as well I think!). 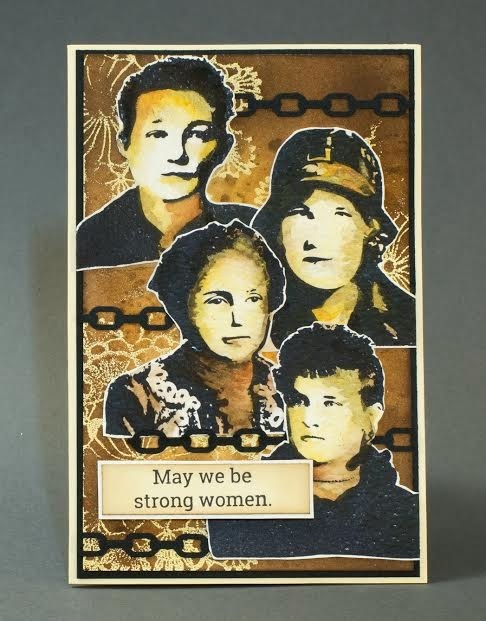 My first project for Craft Stamper was in the middle of 2008, and I’ve been a regular ever since. I love sharing techniques, ideas and quirky weird stuff with all the CS readers, so long may it continue. I blame shopping TV for my stamping addiction! Channel surfing on the sofa whilst at home feeding baby number 1, I stumbled across a stamping demo…was very intrigued and the rest is history! It’s actually quite scary thinking that was nearly 20 years ago, I certainly don’t feel old enough to have a baby about to leave her teens! I chose this one because the technique involved is really messy! I know if I’ve had a fun playtime creating if I’m so painty I need a shower afterwards! A: My style has evolved over the years into a messy, painty colourful kind of affair, with quirky figures, random quotes and (of course) plenty of stamping thrown in for good measure. 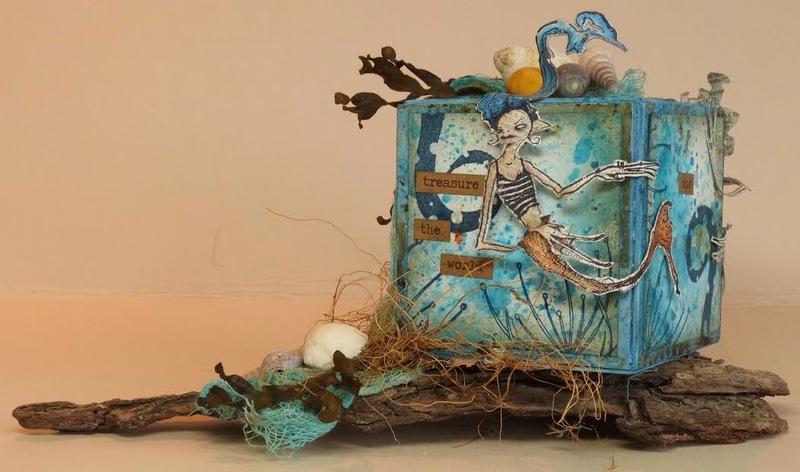 I just love creating 3D assemblages, with Art Dolls being a firm favourite right now! I had to include an Art Doll, this is one of my favourites. A: My inspiration comes from all over the place. I think my brain stores up all sorts of ideas and images, then turns them into projects, which are guaranteed to pop into my brain just before I go to sleep! Luckily, the ideas are still there in the morning when I wake up! I really love exploring my bonkers side, and I think this meditating cat sums this up quite well! 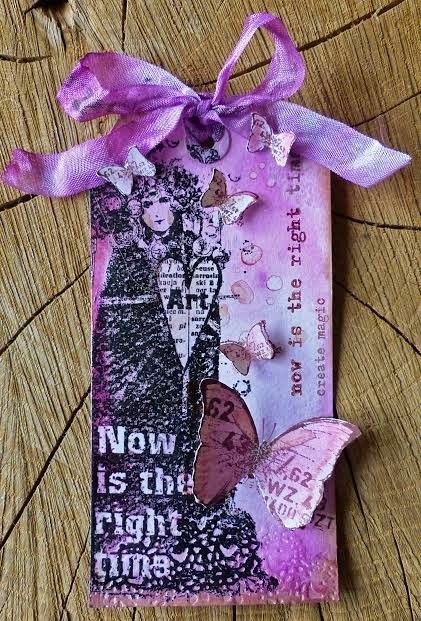 Looking through all those old projects has me itching to get back into my studio to get the paints and stamps out again….so see you soon! 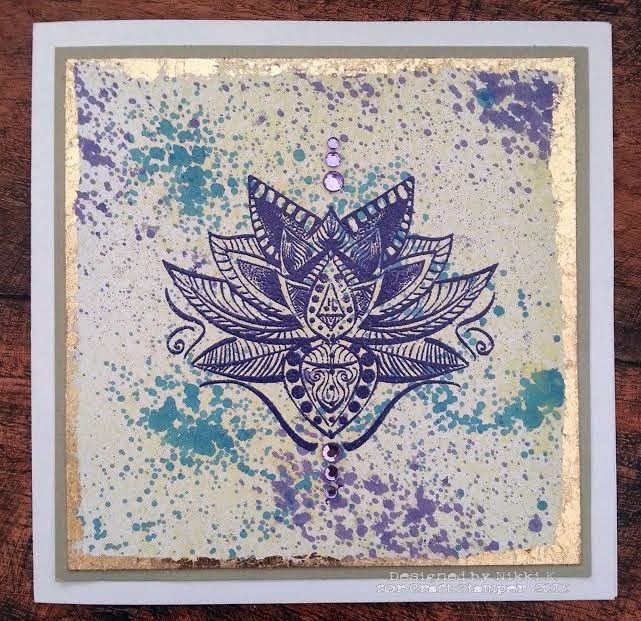 Thanks to Trish for a glimpse into her stamping world and to you for joining us on the Craft Stamper blog today, hope you've enjoyed "meeting" another designer! 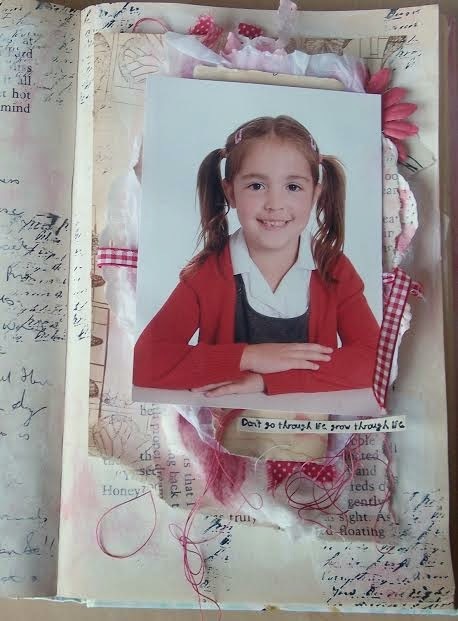 A: I’ve been stamping for about 5 years and my obsession with rubber stamps started as my 5 year old niece, at the time, wanted to make a card for her teacher and my mum went and bought a few card making bits and bobs to put something together with her. 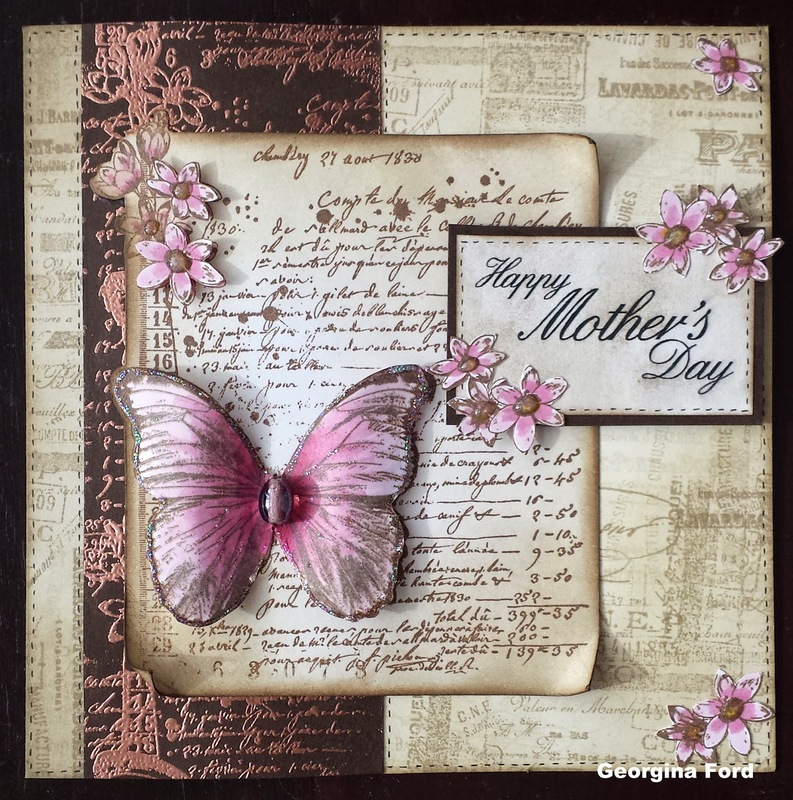 She showed me the finished card and I thought “I wouldn’t mind doing that” and as they say “the rest is history”……..
A: I have amassed a fabulous collection of stamps over the last few years, some would say bordering on obsessional!! I just call myself a collector! My collection of stamps I would compare to anybody’s music collection, a little bit of this and a little bit of that. My ultimate favourite stamps company is Stampotique I now have over 150 of their wonderful wooden. 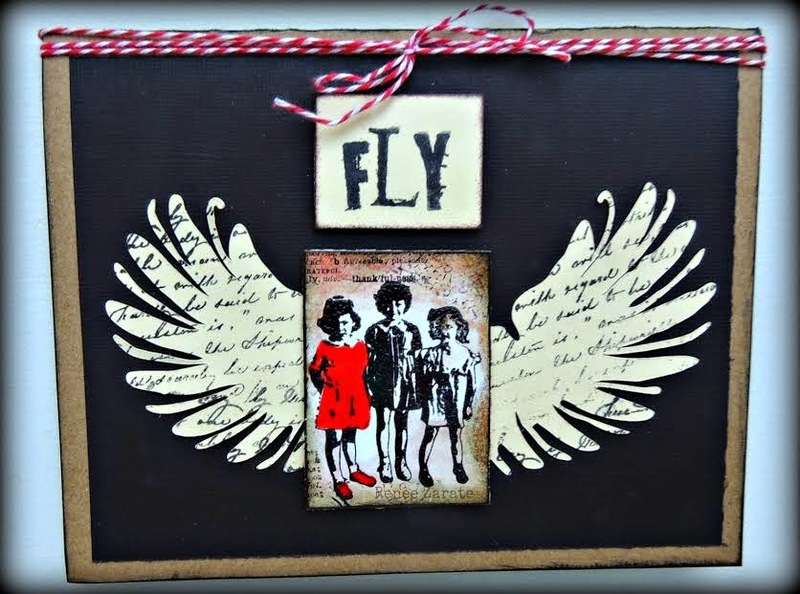 My current go to stamps are also Carabelle Studio, Dina Wakley and Vivalasvegas stamps. 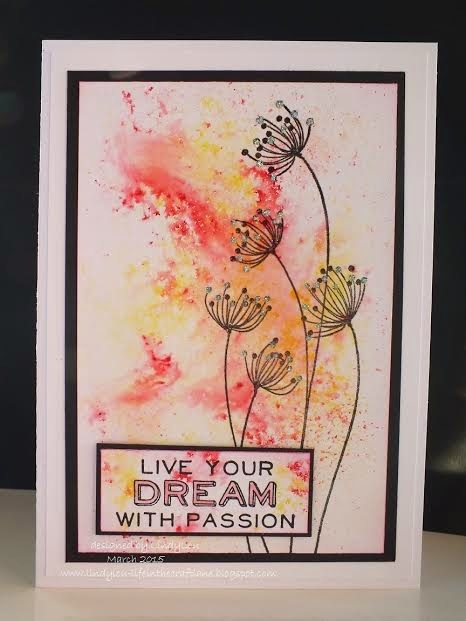 A: I’m not really a one style sort of stamper I enjoy producing a variety of styles, sometimes the styles I produce depend on the time I am able to spend in my craftroom. 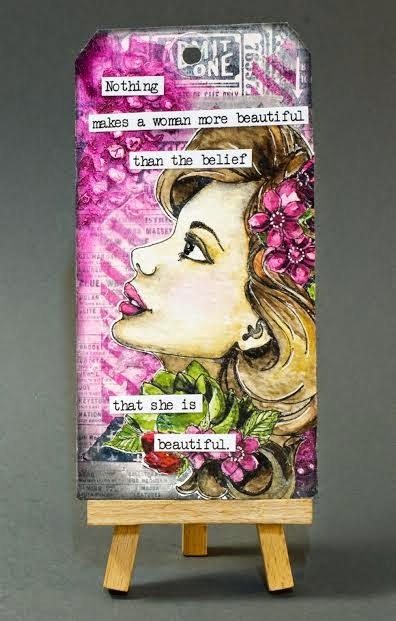 I go from multi layered mixed media projects that can take several days to complete to making a clean & simple card in a short time. A: My favourite project would be one that I have an idea of what I want to do but by playing around with different mediums I watch it evolve into something I hadn’t originally thought of and of course it will always have some method of stamping within it. A: Any type of paints, I love what you can do with paint to create so many different effects and looks to your project either straight from the pot or tube or mixed with something else. Congratulations on being our February Design Winner Amanda, and it was lovely to learn a little more about you! See you next Friday for the announcement of our March Winners! 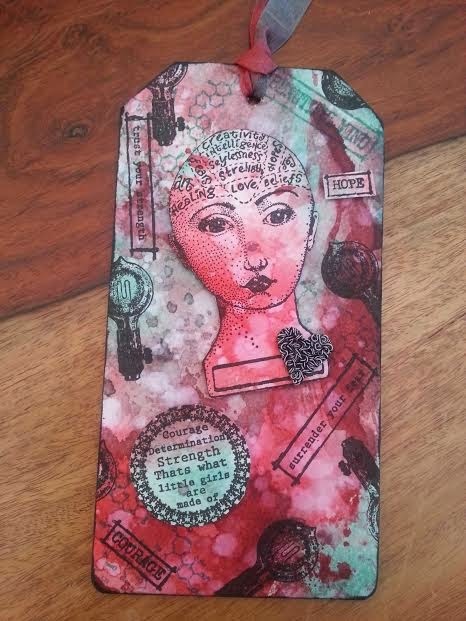 Our current Take It, Make It challenge is a 'Take A Stamp' challenge, which means a very broad Anything Goes theme. You must use a stamp somewhere on your creations, but apart from that, let your imagination go wild! We have had fun looking at the entries so far, you lot are very creative! 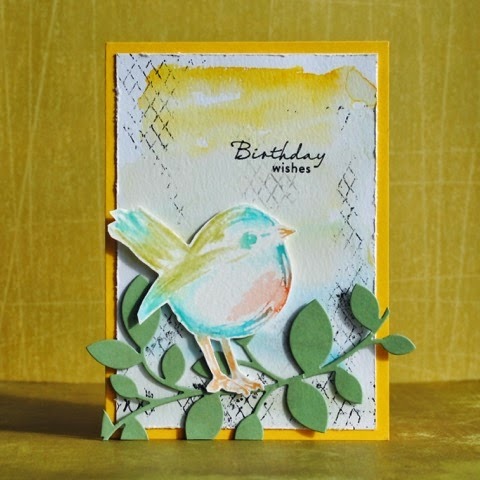 The Design Winner, voted for by our DT, will have their project published, have a guest DT slot for an upcoming challenge, and ALSO gets their very own winners profile here on the blog....so why not get stamping, we'd love to see your creation! Welcome to the launch of our March Challenge! So....lets see how creative you lot are...get your stamps out and share your journal pages, layouts, 3D assemblage or whatever else takes your fancy! 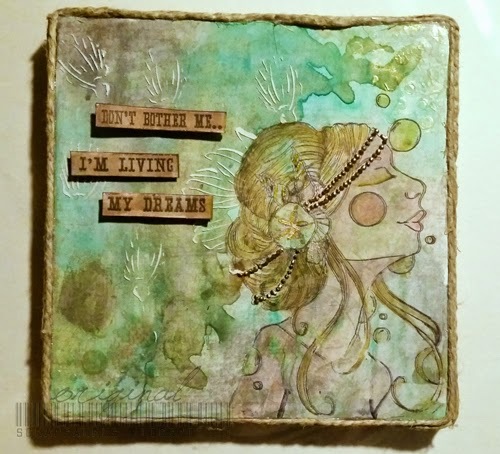 PaperArtsy are a wonderfully innovative company, selling all things altered art! 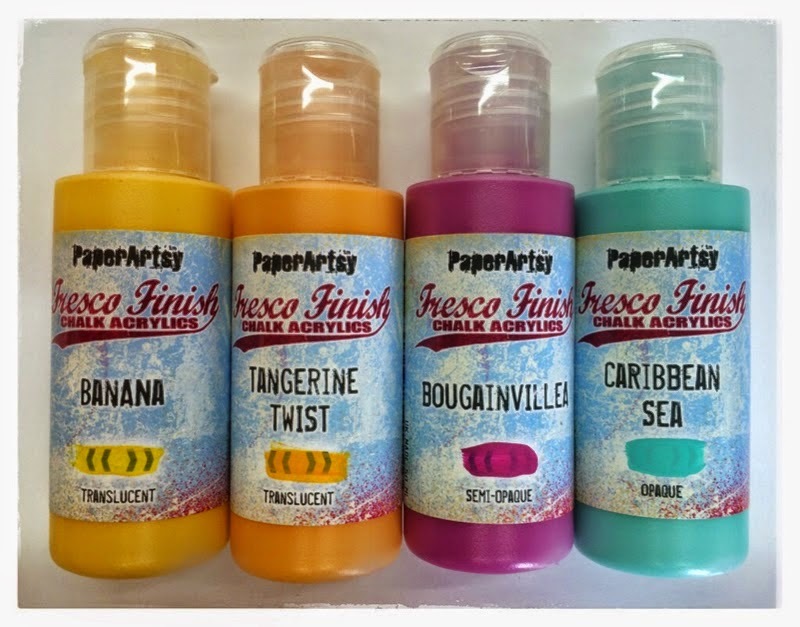 Fresco Finish paints in a huge rainbow of colours, substrates and of course their very wide and varied range of rubber stamps. 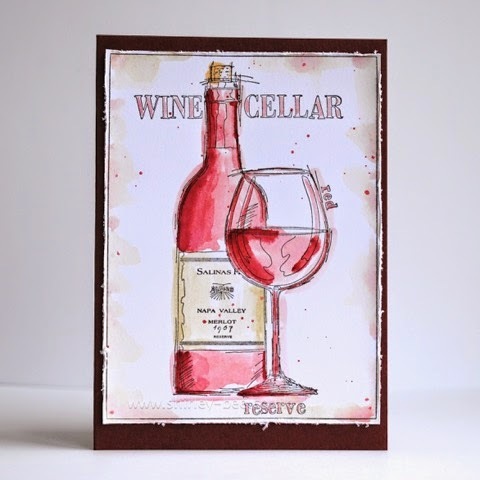 The prize we have on offer is a set of limited edition paints by Lin Brown, designed especially to complement her hugely successful stamp range! I have to say, I LOVE the stamps, and those paints!...such fabulous colours. 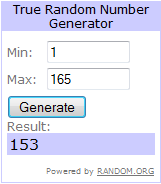 Our randomly drawn prize winner will be a very lucky person! Our second winner is our Design Winner. This winner is chosen by our DT, who all vote for their favourite design from all of the entries. 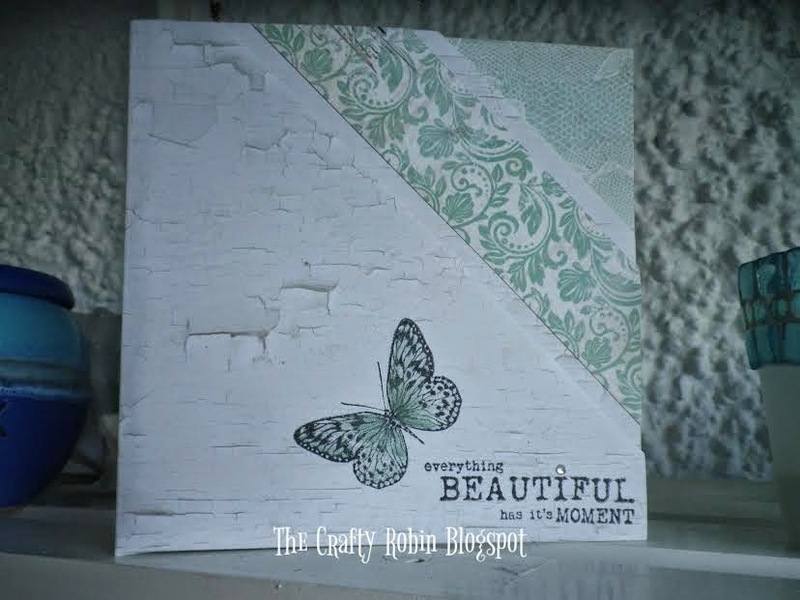 This winner will have their winning project published in Craft Stamper Magazine, they will have a GDT slot for an upcoming challenge, and will also feature in their very own Winners Profile blog post! 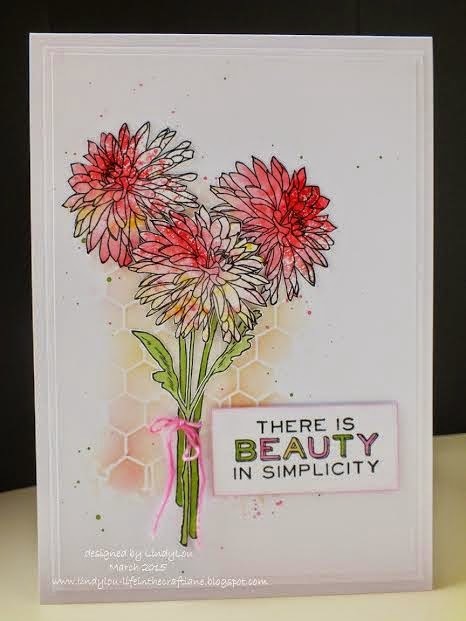 I hope the prizes have given you all an incentive to win...... and how about some eye candy from the DT to give you some stamping inspiration! All you need to do is have a quick look through all the essential rules and guidelines (on the right hand sidebar), and then link up using the Linky Tool below. We can't wait to see your creations! April issue out on Friday!